This is a 2010 build in like new condition , by long time outstanding luthier Joe Veillette. 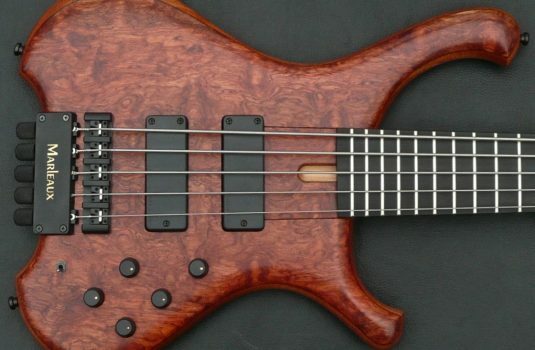 He has been making stringed instruments for a long,long time : his acquired skills are evident in this bass. 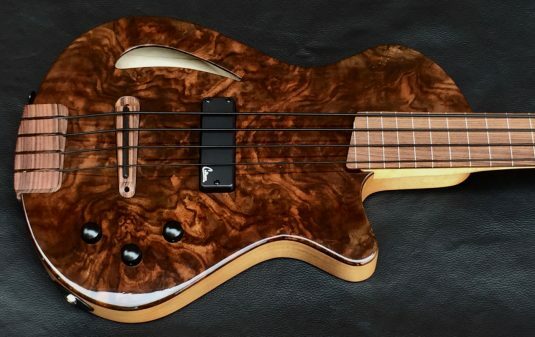 Chambered semi-hollow Poplar body – 7ibs, 7oz. 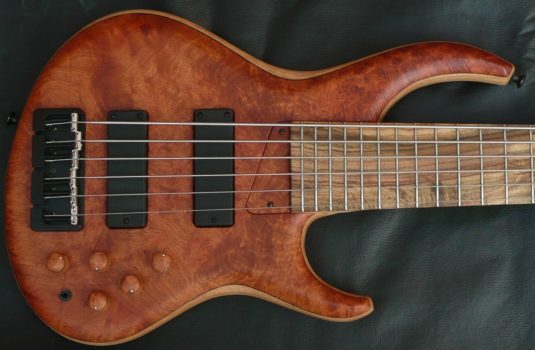 Walnut top – very nice ! 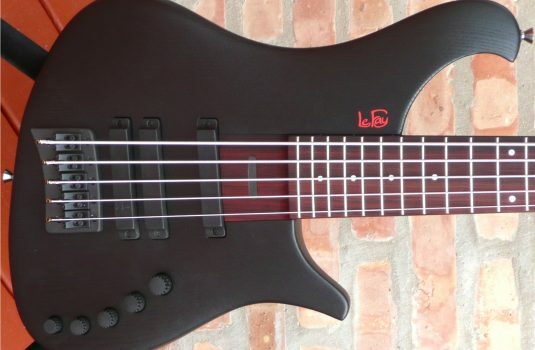 IF you are in the market for a woody, acoustic voice, this might be just the bass for you. Joe V tells me that a new build like this is now $5,300. Buy a new one from Joe, or buy this one.